The Ring of Fire is an area in the basin of the Pacific Ocean where a large number of earthquakes and volcanic eruptions occur. 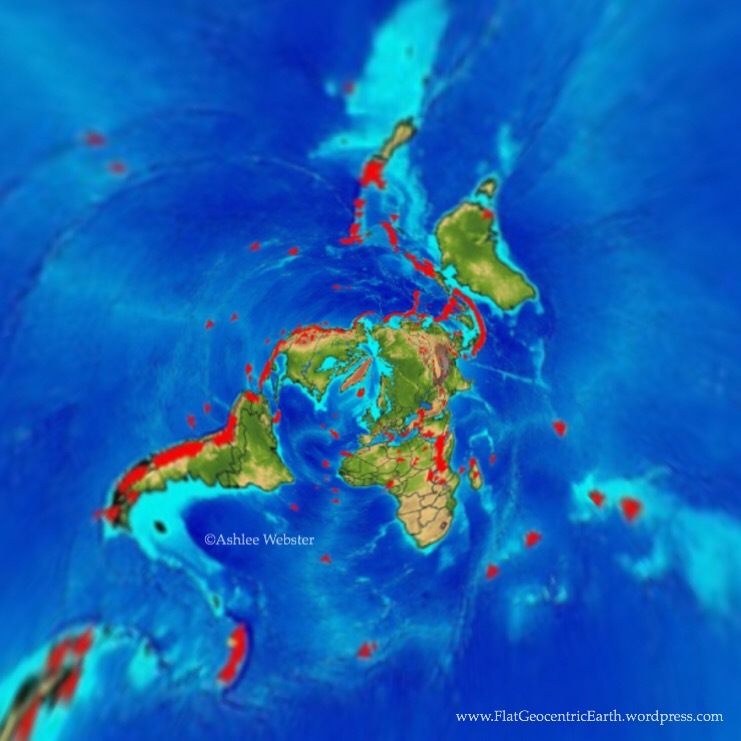 About 90% of the world’s earthquakes and 81% of the world’s largest earthquakes occur along the Ring of Fire. The next most seismically active region (5–6% of earthquakes and 17% of the world’s largest earthquakes) is the Alpide belt, which extends from Java to the northern Atlantic Ocean via the Himalayas and southern Europe. 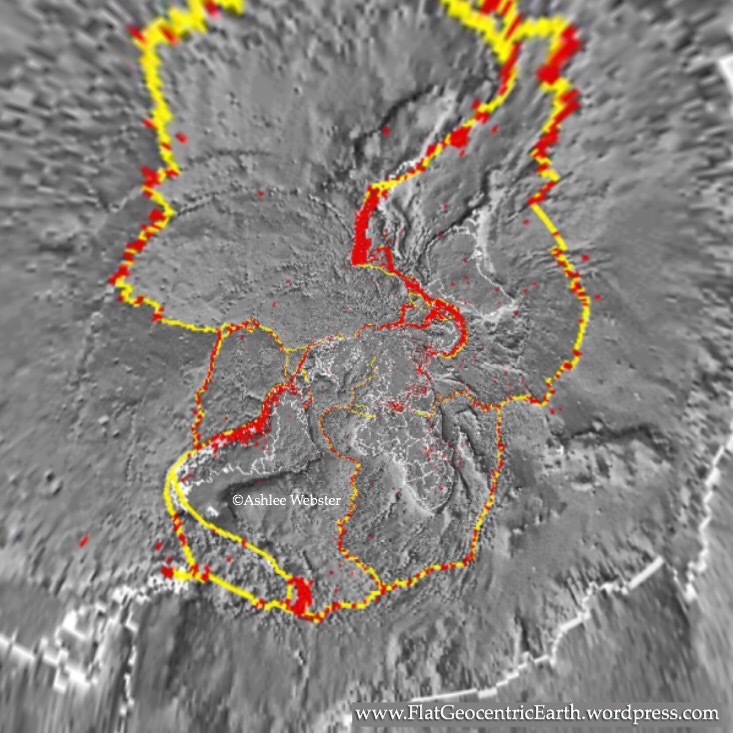 All but 3 of the world’s 25 largest volcanic eruptions of the last 11,700 years occurred at volcanoes in the Ring of Fire. 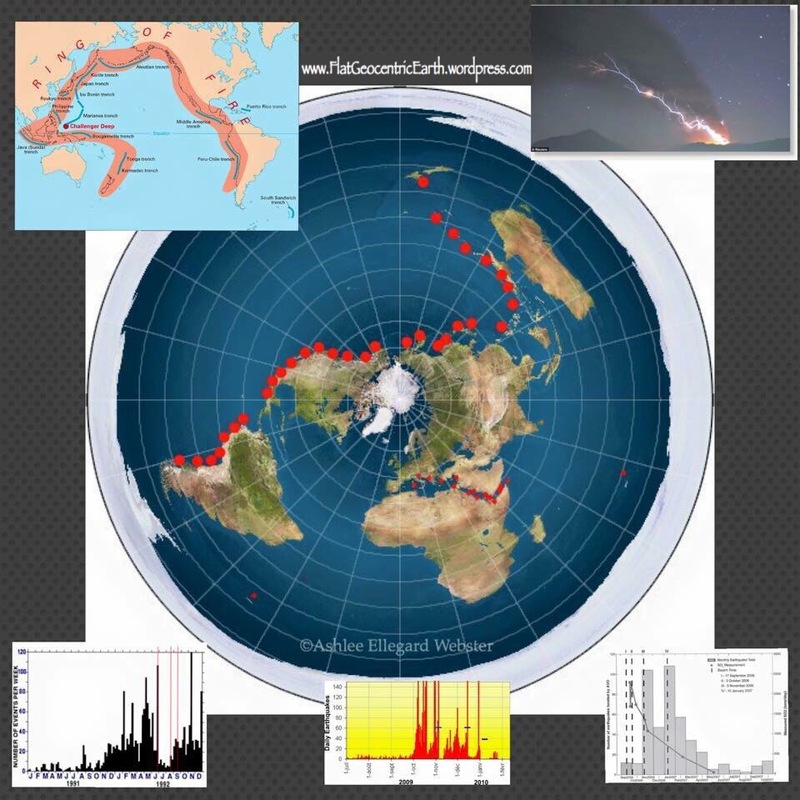 Seeing the ring of fire converted into an azimuthal equidistant flat earth style map it forms more of a line instead of the horseshoe formation.